Where Can You Invest When Equities and Bonds Fall? 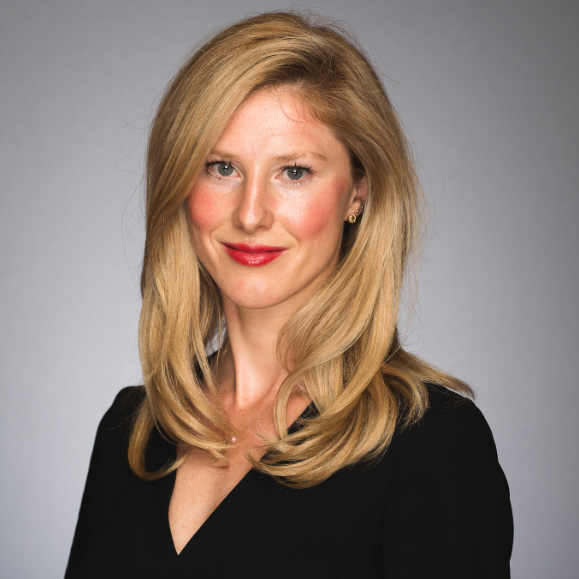 Emma Wall: Hello and welcome to the Morningstar Series, "Why Should I Invest With You?" I'm Emma Wall and I'm joined today by Andrew Cole, Manager of the Pictet Multi Asset Portfolio Fund. Andrew Cole: Hello. Good morning. Wall: So, unlike a number of fund managers, who are single asset, who don't have much say when their particular asset class looks overvalued or under threat, you have many levers to pull. So, what are you thinking right now in terms of positioning as certain asset classes do start to look quite toppy? Cole: Do they? Look we take the view that this has been a long economic expansion. We think it's got probably quite a lot longer to run. So, we want to be positively exposed to earnings growth. Valuations on our metrics are certainly not cheap; fair value and we think we can source value within markets. Generally, means that we have a bias towards equities. Wall: And have you seen yourselves taking some profits, because as you say, although things may have further to run, they have come a considerable way, when looking at equities. Cole: We've changed our orientation within equities. We've wanted to become more cyclical. We've wanted to avoid what we would describe as expensive, defensives. And we've been wary of perhaps typical cyclicals, such as emerging markets, particularly, over this year, when we've seen a strengthening U.S. dollar and rising interest rates. But by and large, we've been supportive of technology, materials, energy and industrials. And when we think about defensives, where might we want to be; healthcare. We certainly wanted to avoid things like consumer staples and utilities. Wall: And what then about the other asset classes, what about bonds? Because there are rising interest rates in the developed world and EM has looked rather under pressure, not least because Turkey and Latin America seems to be blowing up. Are there – again, it was much about what you were avoiding as a way you're seeing opportunities? Cole: I think that's absolutely right. So, we've been very mindful, particularly in a rising interest rate environment, what fixed income exposure we've had. We have avoided emerging market debt, fortunately, and actually here and now it starts to get interesting, so on our radar. I think U.S. real yields and U.S. inflation linked bonds, with real yields of 1%, offer pretty good long-term value. I mean, most U.K. pension funds would bite your arm off for a 1% real yield. If there is an area that we do think is expensive, it is credit. We think the credit, the corporate sector is increasingly leveraged and covenants are deteriorating, spreads are low and that’s where we think investors aren’t getting the right risk premia for the risks involved. Wall: Let's talk a little bit about correlation, because investing 101 says that if you have half your money in equities and half your money in bonds over the long terms they'll balance one another out. There seems to be lot more correlation between equities and bonds since quantitative easing particularly this year when you've seen geopolitical risks. So, for example emerging markets it hasn’t just been equities or bonds that have come – have been in trouble. It's been both. How do you blend that within the multi-asset portfolio? Cole: Well I couldn’t agree with you more. A theory works until it doesn’t and then it doesn’t and it kills you. Indeed, if you go back to the start of this year, the sharp sell-off we saw in markets February, March was associated with falling bond prices as well. So, actually diversification from that standard bond activity has proved pretty difficult all year. And for an asset allocator as ourselves we have to think about how we might manage risk in a different way. I mean, we actively seek to think about that. We want good effective diversification or good effective risk management and this year quite clearly having government bonds and equities hasn’t provided that. So, we have sort to manage risk in other ways, the pricing of volatility which at the beginning of this year got to multi-year lows has allowed us to use options for instance to manage that risk rather than relying on bonds to do the job for us. Wall: So, it's being a little bit cleverer, a little bit sort of outside the vanilla basket in order to protect investors. Cole: Yeah, absolutely. I mean look the first thing that we want to do as multi-asset investors is have more money invested in what we think is going to be the best performing asset. Our second task is to think about risk management and how might the relationships between assets change so that we get better diversification and this year has been a challenge I think for most investors ourselves included on that front. Wall: Andrew, thank you very much. Should Income Investors Consider P2P Lending?